The bungalow was comfortable and cute, though for more comfort/modern amenity/rennovation I would recommend the rooms in the main part of the hotel. Location was good, right by potato head! 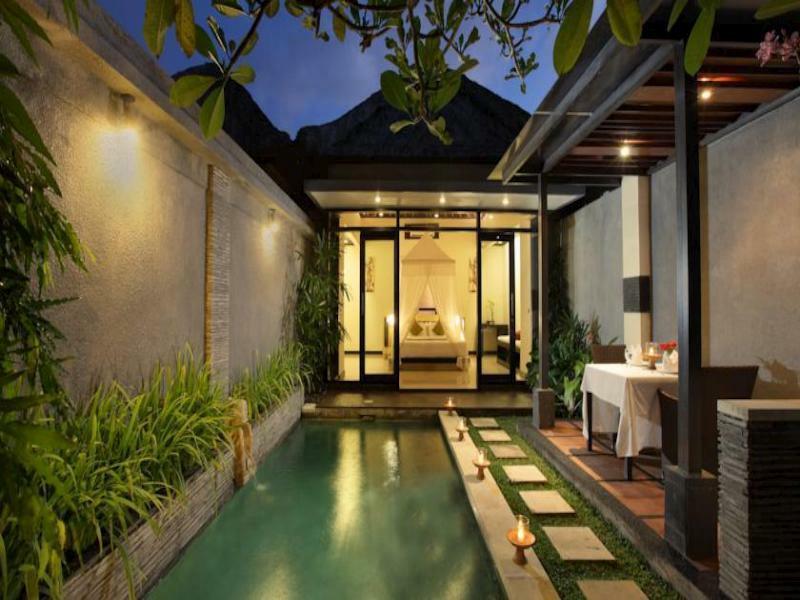 Great location in Seminyak, easily able to walk to funky restaurants and bars nearby. We stayed in deluxe pool access room, which was very standard hotel rooms but sufficient for the price you pay. Bath towels could do with an upgrade, ours were very thin and had a strange smell. Breakfast was standard hotel breakfast which I personally find underwhelming. There are some great breakfast spots nearby and highly recommend The Fat Turtle. Overall I would recommend this hotel. 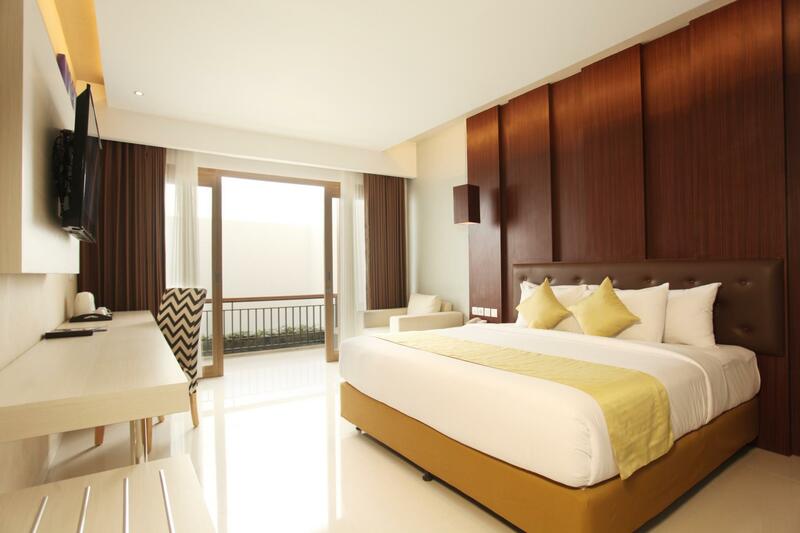 The room is huge & for Seminyak price standard I would rate the price as good. Facility is good too but the outdoor shower in the room is without hot water. I think this should be included as not all the time we wanted to shower with cold water even if it’s an outdoor under the sun type of shower. All in all it’s 1 of the best room my partner loved. (-) 1. I found one used tooth brush under my wastafel and i need to make a call to ask for mineral waters. 2. I think the room needs 1 trash can so we don't need to go to the bathroom throw garbage. (+) 1. I love my room! Super cozy 2. Their breakfast menu is 👍👍 #twothumbsup 3. Location is good! Near potato head, woo bar and etc. I willll stay there again! 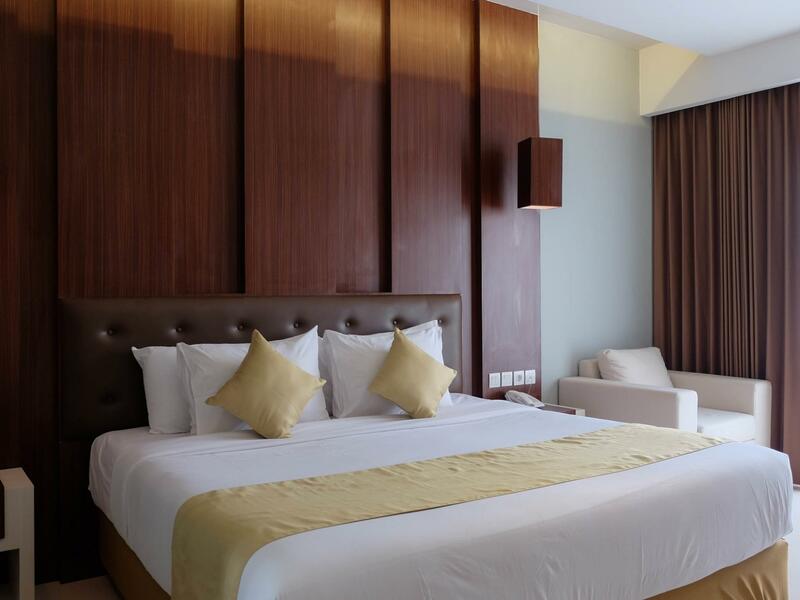 The hotel is really well situated and close to some of Seminyaks best restaurants. It has very comfortable rooms. We did find that the soundproofing through the interconnecting door was poor. We could hear the next room showering and having special cuddles. The internet was not great in our room and the TV was missing a lot of available channels due to poor reception. The included breakfast was a highlight with the staff able to meet my every strange need. You could not want for more - except if you want a special coffee such as a latte - it’ll cost about AU$5 which is high by Indonesian standards - and even compared to your room rate! This was a wonderful stay for my partner and I we stayed at Tonys for 4 nights. perfect location ( close to potatoe Head which we also love ) The customer service from the staff is exceptional. lovely staff! everything from when we arrived to when we left was a great experience. 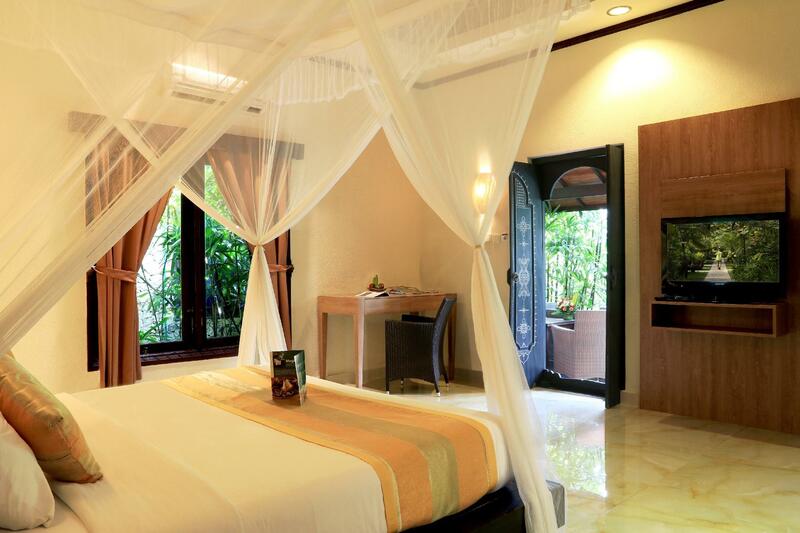 the rooms were very clean, beautiful bathroom and outdoor shower and spa bath ! The taxi and tour service also very helpful! Thankyou for the great holiday we will be back! What a place! 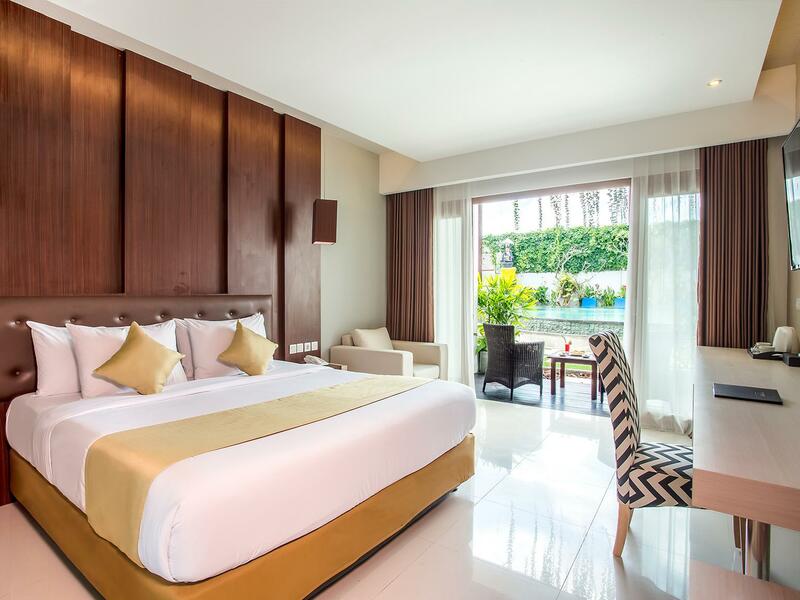 3 pools, a lovely relaxing restaurant, bungalows, as well as standard hotel rooms and Indonesian-owned so your money stays local. Tonys seems to have it all and the location is pretty damned good! Hidden down a long driveway behind the hustle and bustle of Jl Pettitenget near Potato Head, this place is on the outskirts of the Seminyak vibe but you would think you were a million miles away. I stayed in a bungalow and it was just lovely. Plenty of parking for your scooter or walk down the driveway and grab a cab, easy peasy! The Duty Manager greeted me at breakfast and (after being invited) sat for a chat until my meal arrived -then remembered my name for the duration of my stay. I had a pool almost to myself in the afternoons and enjoyed Happy Hour drinks at the swim up bar. I'd definitely stay again at Tonys. Our second time at Tony's we stayed this time in the new resort, modern rooms around a roman type pool, a small Ceasars Palace. We loved the bungalows, rustic and green, in our first stay and will probably choose them the next time we come. They are currently being upgraded. We did get to meet the actual Tony this trip, he obviously sets a high standard, his staff ar remarkable even by Balinese standards. Stayed 4D3N for New Years Eve in Bali. We were upgraded from Deluxe room to a Pool Access Room, for FREE! Exceptional location with tons of easily accessible cafes and eateries. Less than 10mins walk to the beach! Hotel staffs were beyond nice, never stingy with their smiles! Everything was top notch, except for the NYE dinner, which was a little bit of a let down. Oh and did I meantion, the welcoming drink (Tamarind Honey Ginger Sprite) is awesome!